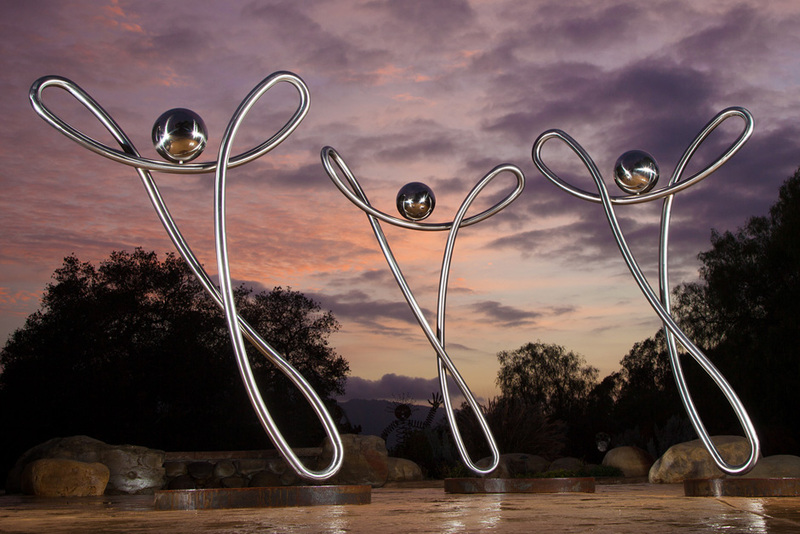 The Santa Barbara Architectural Board of Review (ABR) yesterday awarded “Project Approval” for the “Wings of Honor” sculpture at the Santa Barbara Airport. We last went in front of the ABR on April 30th of 2012, where we gained “preliminary approval”. Since then we have worked diligently to refine the project and walk it through the numerous levels of governmental approvals required. Yesterday’s project approval “locks down” the aesthetics of the project and allows us to go full steam ahead with the detailed engineering required to bring this to life. My involvement with this project began in November of 2010 when I responded to the initial RFQ. I was awarded the commission in March of 2011.